Problem with beer cellar when I visited this afternoon meaning no draft ale so had to make do with a bottle of Five Point IPA (7.1%, 300ml, £5.20). Another of Surbiton's gastropubs so unsurprisingly empty at half three in the afternoon. Didn't feel like a Young's pub. Inoffensive, safe and rather bland. 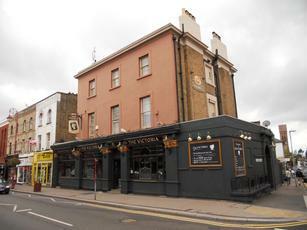 The Victoria was my final new pub of the day, before concluding my wanderings in the nearby Antelope. 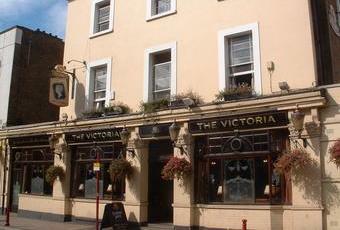 The Victoria is another Youngs pub, which appeared to be popular with families. It is a busy place, with a number of different rooms. Whilst it may have been refurbished, it still retains a nice character. Youngs Bitter & London Gold were the standard ales. But they also had Twickenham Grandstand and Trumans Hoptoberfest was pulled through whilst I was there. A reasonable enough place. But with the Antelope waiting, I soon moved on. 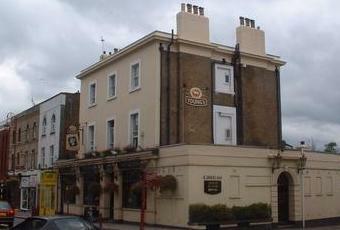 A cosy (though reasonably large, with several rooms) traditional pub on Surbiton's main street. Beers included the usual Youngs range including Special, and also a couple of guest ales. Staff are nice. Unfortunately I heard from a regular that Youngs plan to refurbish this pub, despite its popularity and the clear evidence that it doesn't need refurbishing. This is not encouraging, as Youngs track record since splitting off the brewing arm has been to turn their pubs into bland hotel-like establishments. The tenanted pubs (now branded as the Ram Pub Company - such as the Black Lion round the corner from the Victoria) may escape this but the managed houses are another matter. 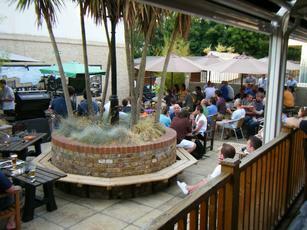 I have thoroughly enjoyed my summer sojourns to the Vic after quite a break....love the outside area. It had been a lengthy hiatus, but it was as enjoyable as ever with some cracking lagers to slake my thirst.